This “security” is so outrageous we had to look for hidden cameras to make sure we’re not being pranked. We don’t want to ruin the face-palming realization for you, so before clicking past the break look closely at the image above and see if you can spot the exploit. It’s plain as day but might take a second to dawn on you. The exploit was published on [Mark C.’s] Twitter feed after waiting a couple of weeks to hear back from TP-LINK about the discovery. They didn’t respond so he went public with the info. Like it or not, Hackers gonna hack. And when your hackerspace has someone who looks like Doc Brown from Back to the Future, the builds can get a bit weird, like this Hack42 FestivalCharger. The Hack42 hackerspace in Arnhem, The Netherlands had collected a large number of TP-Link 5V USB chargers – but all of them had the North American NEMA plug (flat, 2 pin) which wouldn’t fit the Schuko sockets prevalent in The Netherlands. [Simon “MacSimski” Claessen] decided to whip out his giant soldering iron and use it to solder two long pieces of welding filler metal rods to 33 of the chargers, effectively wiring them up in parallel. He did apply his obvious skill and experience to good use. For one, the diameter of the filler metal rods he used were just about the right size to fit in the Shucko Schuko socket. And the gap between the two turned out to be the right distance too, thus creating a sort of Schucko Schuko plug. All that was needed to power up all the chargers was to connect a socket extension to the FestivalCharger. The unit was built to allow crowds of festival-goers to charge their phones and battery-powered gadgets simultaneously. To make sure the visitors didn’t get electrocuted, he used a piece of PVC pipe to cover up the exposed pins and keep it all safe. Thanks to Hack42 member [Dennis van Zuijlekom] for sending in this tip. [Squonk] is rather famous in the world of repurposed routers, having reverse engineered the TL-WR703N wireless router from TP-Link a few years ago. With that knowledge, he’s developed an open platform for Things on the Internet called Domino. It’s pretty much exactly what you would get by cracking open a router bought on AliBaba, only in a much more convenient package with many more pins broken out. 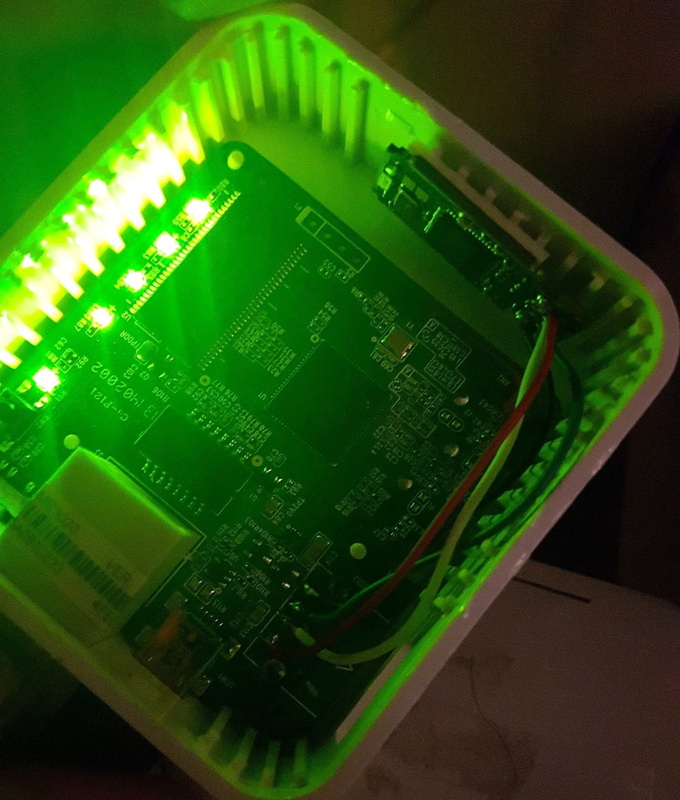 The Domino builds on [Squonk]’s reverse engineering efforts of the TP-Link TL-WR703N wireless router, the router that has stolen the thunder from the Linksys WRT54G for all those sweet, sweet, embedded hacks. Both the 703N and the Domino are built around the Atheros AR9331. While the router version of this chipset only breaks out a few GPIOs and other interesting pins, the Domino breaks out just about everything – GPIO, JTAG, I2S, UART, SPI, USB, and Ethernet can be found on the device. The basic Domino can hopefully be had with a $25 pledge to the Kickstarter campaign. That’s a little less than the normal price for a WR-703N, and if you’re putting a router in a hat it might be worth your while. There are a few advanced versions that include an ATMega32u4 microcontroller, making it compatible with the Arduino Yun as well.